يقع Camellia Court Family Motel على بعد 16 دقيقة فقط سيرًا على الأقدام من الشاطئ وعلى بعد 5 دقائق فقط سيرًا على الأقدام من وسط مدينة تاوبو، ويوفر أماكن إقامة بالخدمة الذاتية مع خدمة الواي فاي مجانًا. تحتوي بعض الغرف على تلفزيون مع قنوات فضائية وحمامات خاصة ومرافق مطبخ صغير. 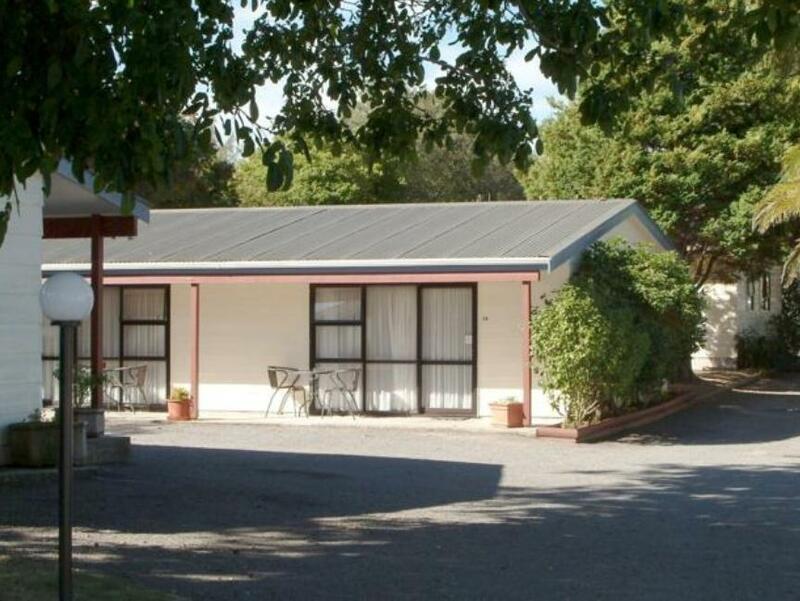 تشمل المرافق في Camellia Court Motel Taupo خدمة غسيل الملابس للضيوف وملعب للأطفال ومنطقة للشواء. وتتوفر مواقف مجانية للسيارات في الموقع. وتحتوي جميع الوحدات على تدفئة وبياضات أسرّة وتلفزيون أساسي. يمكن للضيوف أيضا الوصول إلى مطبخ مشترك كامل وغرفة لتناول الطعام. تقع الواجهة البحرية لبحيرة تاوبو على بعد 1.5 كم فقط من Camellia Court Family Motel. ويبعد مسافة 15 دقيقة سيراً على الأقدام عن حمامات AC، التي تضم مسابح حرارية ساخنة ومنزلقات مائية للأطفال. Staffs are very friendly, good parking space. The unit is quite aged and refurbishment seems to be due, however quite well maintained. Value for money is great. The room was so small for 3 of us.Didnt have enough space to put luggage and we have to put under the bed.The blanket so smelly so we decided not to use it.The kitchen and laundary was ok.The bathroom and toilet was clean eventhough it looks old for me. I would not suggest this room for my clicks. This cozy spot was just what we needed. It's not hostel style, we got our own cozy cabin for the three of us. Double bed with single bunk, table chair and TV. Kitchen and bathroom facilities were clean. As a huge bonus they offered FREE wifi! Hosts are very kind and hospitable. Staff was friendly. The only thing is the distance from city centre, not a problem if you drive. The room don't have a heater so it can get cold and inconvenient to go to the toilet at night. It was a pleasant one. Thank you! It was a pretty cold night and at some early hours of the morning there was a big fight or something between other people staying at the motel which was a bit scary. We were only allowed a very quick shower which was not very good especially being so cold in the room we would have liked a longer shower. Overall it was not the nicest of places to stay but i did only pay $75 for the room so i suppose i got what i paid for, the bear minimum. I wouldn't stay again, the area was out of the way and in a pretty rough street too. In saying this though the man that greeted us was pretty nice and polite. Good. You will need a vehicle, or bicycle, to move around though. Clean and tidy in a close proximity to city centre and parking convenient! I wouldn't recommend that anyone who is staying for more than one night stay here, its more for those who need somewhere to stop over for the night and are carrying on the next day. the rooms are quite tiny so you pay for what you get but the staff are south African and really nice. When we arrived we met a friendly owner. 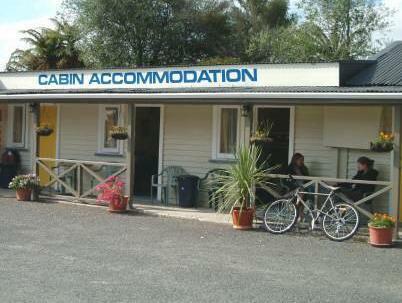 He give us all the information we needed to have a pleasant stay in Taupo. The cabin was clean and complete. Showers as well the toilets where clean. One of the staff was also very friendly and helpful. We have got what we expected for this price. While talking to the owner and his friend they give us the possibility to flight with a glider. It is not expensive and a marvelous experience. We enjoyed staying here . I stayed in a small cabin. Single bed with thin duvet/single pillow. Was comfortable enough. It had a TV (only 2 channels), a fridge, and (new) microwave. Toilet and wash facilities were 20 meters away in shared facility. Plenty of hot water. Also had access to a shared kitchen. Both room and toilet block could do with a makeover. Kitchen was again basic, but sufficient to cook and clean up in. spoke to some other travellers and they thought it compare reasonably well to other places they had stayed in around NZ at same price range. Owner was friendly and obliging when I asked to borrow a can opener. Situated in what appeared to be a lower socio area of town. Approx 1.5 kms from main town area. Convenient, value for money stop. Good service and nice clean room.